" Tradition, the way of life "
As the term implies, it is the 5 systematic actions carried out for the purification of body. During the course of the treatment the accumulated toxin or 'ama' is eliminated from the body through the alimentary canal, sweat glands & urinary tract. It cleanses the body, improves vigor & vitality & improves immunity of the body. The Panchakarmas are:- Vamanam(emesis), Virechanam (Purgation), Vasthi (Medicated enema), Nasyam (nasal medications) & Raktamoksha (blood letting). According to the constitution & condition of an individual, the physician advises Panchakarma therapy in combination with other therapies. This special programme is for improving the complexion & toning up of the body. It includes special detoxification programmes & beautification therapies & cures skin diseases like psoriasis, eczema, scabies, dermatitis, folliculitis, premature graying and hair fall. It also includes special herbal face packs. This treatment includes detoxification and rejuvenation of the body by herbal oils and medicines, which nourishes the body tissues. This therapy increases the health span by improving the quality and purity of structural components. Major benefits are improved memory and intelligence, perfect health, youthfulness, physical endurance, strong sense organs and perfection in speech and sexual powers. From the perspective of Ayuveda, losing weight is not about starving or suppressing the appetite, it is about balancing the fat metabolism. You do not have to starve yourself or exercise till you drop. A balanced diet along with appropriate therapy is customised to suit ones constitution. Treatments include body massage with special herbal powders and internal herbal medicine. There can be a possible weight reduction of around 2-3 kilos in 1 week. According to a popular saying in Ayurveda, “inner peace brings outer beauty”, which suggests that when you have high self- esteem or see the divine with in , you radiate true beauty. Thus, after beauty is a reflection of inner beauty. Ayurveda advocates time tested treatments to improve complexion and colour and this programme includes a face massage, herbal face packs, nasal drops and intake of herbal recipes. Using special treatments, this programme treats neck pain and lower back pain that is caused due to various conditions such as muscular conditions, spondylosis, spondylitis, ankylosing spondylitis and disc problems. It includes abhyangam, swedam, kati vasti, avagaham, pichu, elakkizhi, podikizhi etc along with internal medication. An effective and prominent treatment for the release of day – to – day strain and stress, this therapy calms your mood and brings relaxation to the body and mind, slowing down the pace for ultimate relaxation. It is during the summer season that the whole nature seems like depleted of energy due to the scorching sun. The increased heat vitiates Pitta dosha which in turn brings out various morbidities. Summer treatments are a combination of the skin and rejuvenate the body. The combined therapy expels out the underlying toxins and refreshes the whole body. It nourishes your body keeping it moisturized and alive. The combined therapy schedules make the skin soft and supple retaining vital nutrients. Monsoon season is the time when the tridoshas have undergone vitiation in the body and thus needs to be expelled out. Many diseases like fever, digestive problems, inflammatory conditions, skin disease, cold and cough, allergies etc seems to surf up during monsoons due to the vitiated and imbalanced tridoshas. To achieve a proper health, the expulsion of these vitiated doshas is mandatory. A combined therapy schedule as per the individual constitution is recommended for a complete physical and mental health. The combined therapies detoxify, replenish and nourish the whole body, leaving it fully rejuvenated. 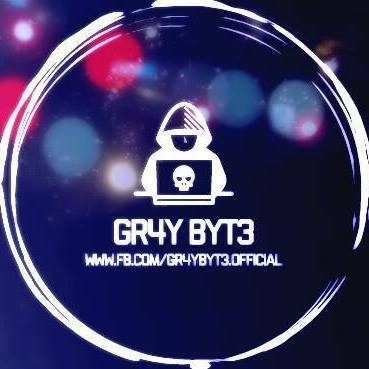 HACKED BY GRAY BYTE !! !